PCGamesN is looking for a hardware writer to assist with the day-to-day running of the techie side of the business. And we don’t mean tech support, though that might not stop people asking you for help. We’re looking for someone with a passion for PC gaming and the tech that powers it. You’ll need to back up that passion with the ability to write clearly and concisely about it. You’ll need to test, benchmark, and push the latest tech to its limits, then write accurate reviews and interesting, informative features based on your findings. You’ll probably break things, but that’s okay too… We’ll help grow your hardware knowledge so you can find the most relevant industry happenings to react quickly and write engaging news content too. You’ll have an understanding of online publishing and SEO best practises as well as an analytical mind, a keen eye for detail, and the ability to work to deadlines. 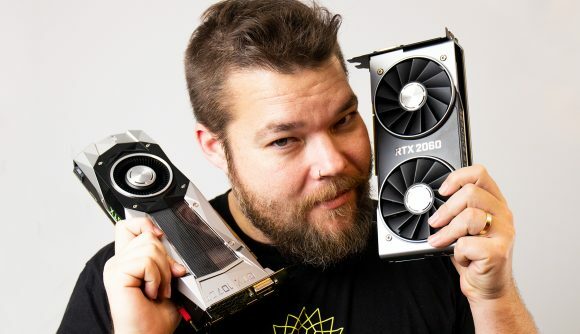 Working in the hardware team, you will help ensure PCGamesN’s tech coverage is the best around. Other opportunities: We’re also hiring for a Features Editor and a News Writer. In addition to being an entertaining, accessible, and informative writer, you will also need to be comfortable appearing on camera in our hardware videos too. Don’t worry, it’s not as scary as it might sound. To apply please send your CV, covering letter, and writing samples to [email protected], using the subject line: ‘Hardware Writer Application‘. We look forward to hearing from you.